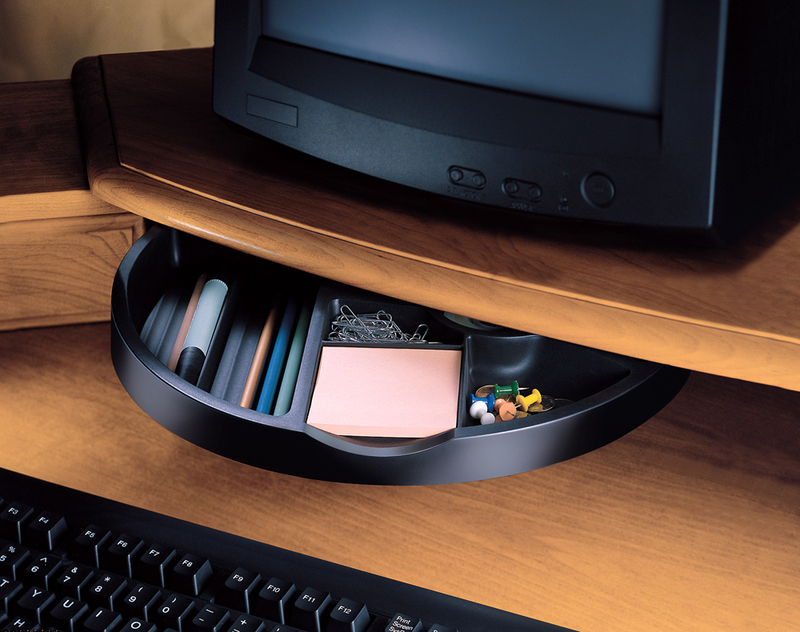 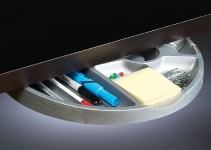 This uniquely designed drawer can be installed almost anywhere. Simply push one end and the drawer rotates 180 degrees to allow access to commonly used items including pens, pencils, paper clips and tape. 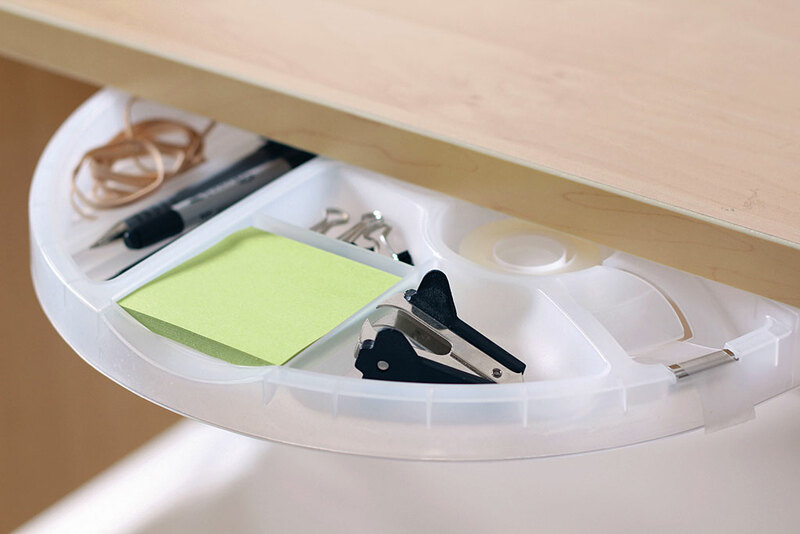 Includes one assembled organizer, screws and installation instructions.